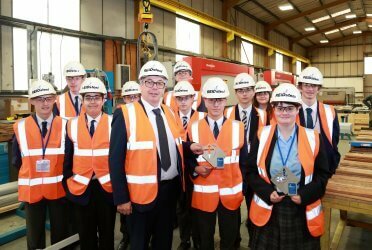 Pupils and staff from Twynham School and The Grange School visited REIDsteel. Students swapped the classroom for our workshops on a special visit to our headquarters with Dorset Chamber of Commerce and Industry (DCCI) and our local MP Chris Chope. The 17-strong party from the Twynham and the Grange schools – both local to our premises in Christchurch, Dorset – were joined by our Managing Director Simon Boyd, Chairman Tim Reid and DCCI chief executive Ian Girling as well as Portfolio Holder for Economy at Christchurch Borough Council Vicki Hallam. We were delighted to welcome the pupils and their head teachers for a visit after we sponsored both schools to become members of DCCI’s trailblazing Young Chamber Programme to link business and education. The pupils and staff heard more about our wide-ranging work as a structural steel company with the ability to design and construct entire buildings around the world – from cathedrals in Central America and bridges in Africa to football stadiums and industrial units in the UK. 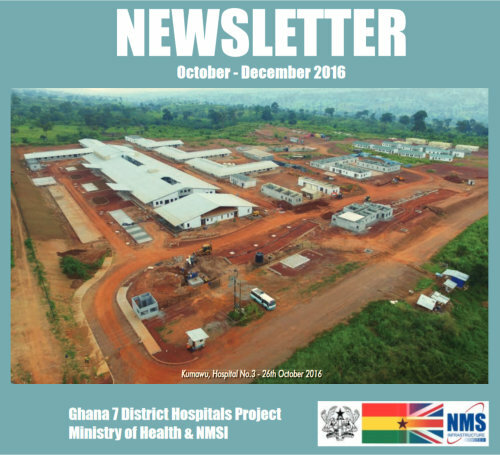 Significant progress continues to be made at the Dodowa District Hospital site with all internal and external works drawing to a close. Rapid progress has also been made on the additional housing units and mothers’ hostel. Equipment installation is ongoing across the various wards, with mains power now connected to the site. 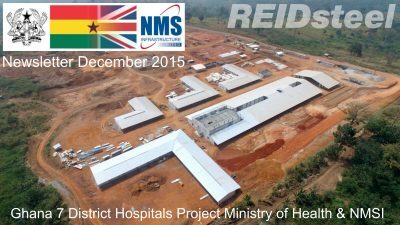 Reidsteel are proud to have been involved with the supply of all of the buildings for the “Built To Care Ghana” project and continue to support the efforts of the NMS Infrastructure. 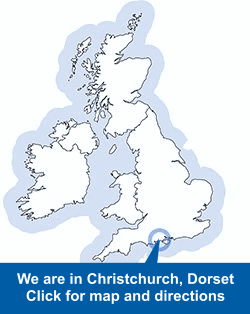 Between 70% and 80% of REIDsteel structures are exported through ports in the UK, such as Southampton. The visitors from REIDsteel are all involved in the export of REIDsteel structures: despatch and shipping manager Ana Monti and despatch administrator Catherine Carey, who make the arrangements for export shipments and prepare export documentation; Ali Titcombe and Tim Cook from the commercial team; yard foreman Ian Hibbard, crane drivers Steve Marshall and Steve Frampton, who lead the loading of materials into the shipping containers at our factory in Christchurch; Luke Armes who travels to supervise off site loading activities. 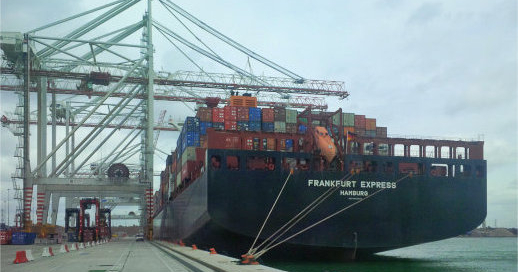 REIDsteel’s shipping agents, Meachers Global Logistics were represented by Rob Lewis, Director for Freight Forwarding. The downturn had caused a reduction in managerial construction staff with main contractors stream-lining the number of directly employed quantity surveyors, estimators, project and contracts managers to ensure they stayed afloat in the recent tough times. Inevitably, with experienced staff retiring and others looking outside of the construction industry to find stable employment, the industry as a whole will struggle to meet the demands of rising workloads. This is increasingly leading to quantity surveyors and projects managers overseeing a number of projects at once, making it even more important that they choose sub-contractors who can provide not only quality on site but also in their management and off site work. 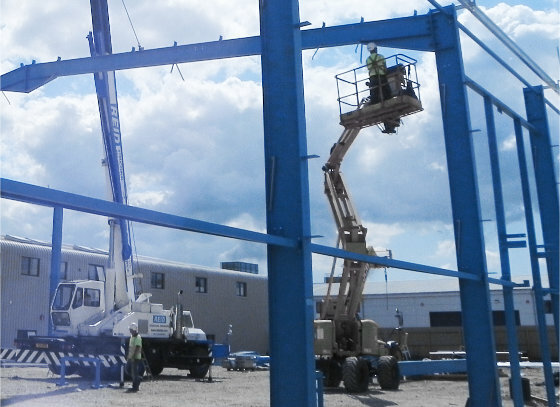 At Reidsteel our clients have seen the benefits of working with us and have entrusted us with the design, supply and erection of steelwork and cladding and glazing time after time. We all take for granted, the CE marking symbol on our electrical goods around our home, the kettle in our kitchen, the TV in our lounge. We can still remember Trading Standards appearing on consumer programmes warning us to check for the CE mark on the toys we bought for our children. 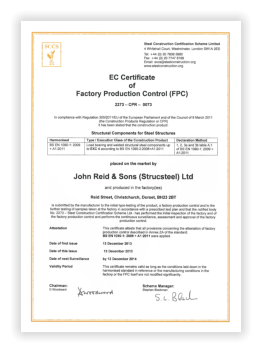 It states that if a construction product is covered by a harmonised standard (hEN) or European Technical Assessment (ETA) and forms part of a permanent structure within the European Union then that product MUST be CE marked. 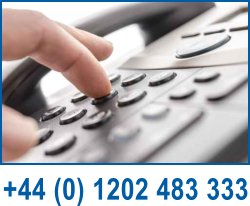 It is not voluntary but a legal requirement throughout the construction supply chain.